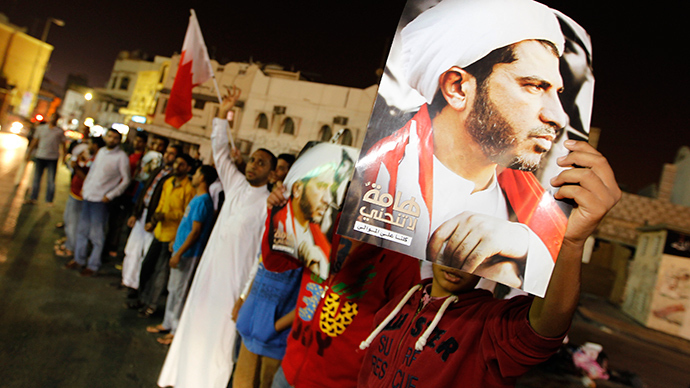 Crowds of protesters took to the streets in the Bahraini capital, Manama, calling on the monarchy to release Sheikh Ali Salman, leader of the Al-Wefaq opposition party, and expressing outrage over the arrest of his close ally, Jameel Kadhim. Hundreds of protesters could be seen marching and waving Bahraini flags and placards as police kept a vigilant watch on the rally. 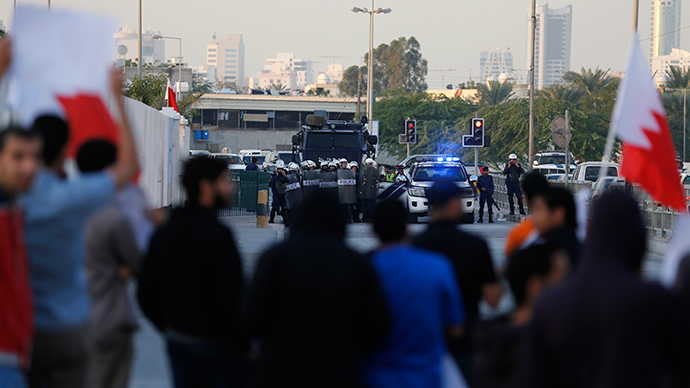 The ongoing protest movement intensified following the arrest of Jameel Kadhim, the president of Al-Wefaq's consultative council. Sayed Yousif al-Muhafda of the Bahrain Centre for Human Rights told RT that change will never come as long as the ruling family cracks down on the opposition. “The government, they don't want any dialogue at all. For the last two to three years they are just lying to the international community that there is a progress, there is a dialogue, but this is the reality. People who should be in the dialogue are in jail right now,” Al-Muhafda said. As a member of Bahrain's main Shiite opposition group, Kadhim was sentenced Tuesday to six months in jail after making an allegation about election bribery on his Twitter page in October. 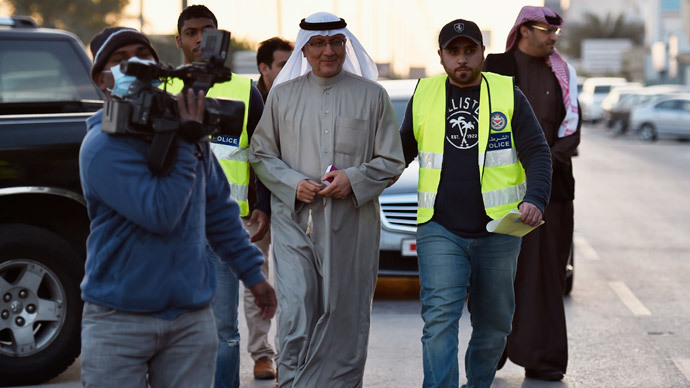 Bahrain’s Lower Criminal Court found him guilty of disrupting the elections and ordered him to pay a 500 Bahraini dinar ($1,300) fine in addition to serving his jail sentence. Kadhim’s lawyer, Abdullah Al Shamlawi, said his client would appeal against the conviction at the High Criminal Appeals Court. The sentencing comes as Al-Wefaq leader Sheikh Ali Salman after arrested on December 28, still remains in prison amid ongoing clashes between protesters and security forces. He is also facing a jail sentence and is in custody pending an investigation on charges of inciting violence. Bahrain, ruled by King Hamad, was rocked by protests in 2011 by the country’s majority Shiite Muslim population, calling for more freedoms in the minority Sunni-ruled country. 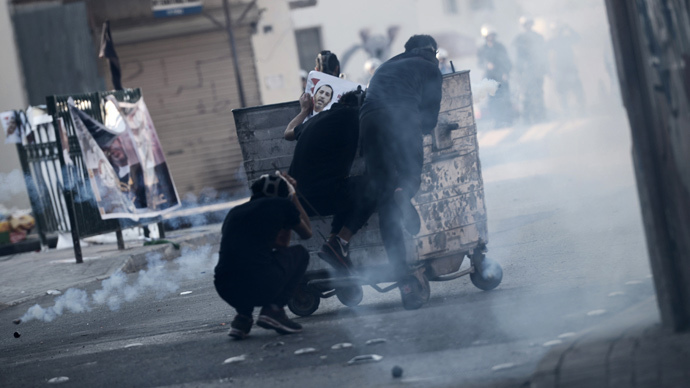 Although the government, backed by Saudi Arabia, managed to suppress the protests very quickly, clashes between security forces and protesters still occur almost daily.